Just to get a grip of what an enormous effort it was and continues to be to vaccinate India’s millions of children, here are some inspiring videos and articles discussing how it was done. India, a country of 1.2 billion people, had more cases of polio than any country in the world just two short years ago. It is now off the list of endemic polio countries, proving that polio eradication is possible. From the top ranks of the Indian government to the vaccinator who travels great lengths to immunize children, each person involved in making India polio-free is truly one in a million. As someone who has traveled in India and her neighbor Nepal the thought of how this feat was accomplished still amazes and inspires me beyond belief. It is startling. 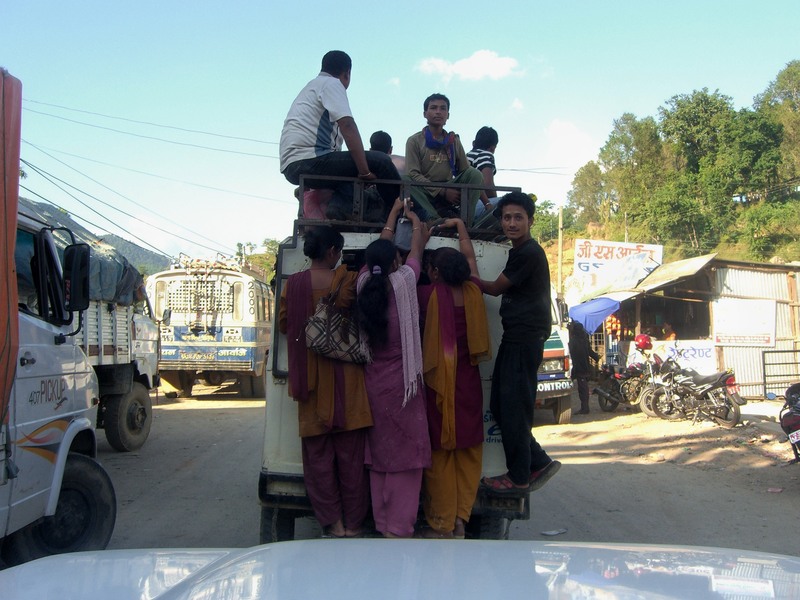 Here are some photos I’ve shared earlier in my blog about the trials and tribulations of transportation in rural Nepal and India. 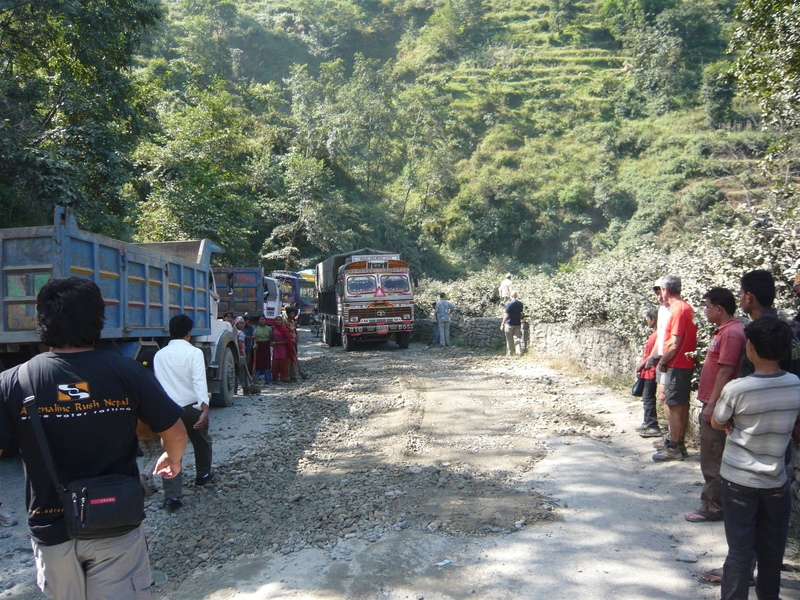 In many rural, remote and/or mountainous parts, roads are simply washed away from landslides and never replaced such as the one above. Photo taken in rural Nepal. Getting around can be a trying endeavor which requires patience and creativity. It can take double or triple the amount of time to reach rural, remote areas as it does at home in the US where we have excellent roads and manageable traffic. 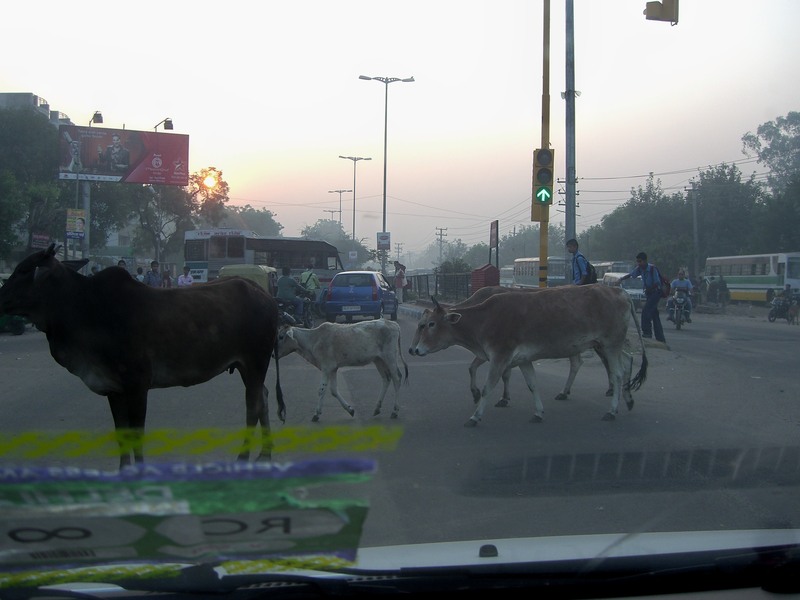 In India there are many obstacles on the road that you would not expect such as cows, camels, over-crowded cars, trucks and buses. Here we were leaving Delhi and driving on the “highway” to Agra which is only about an hour and a half drive in normal conditions. It took us five hours there and six hours back. And this is in the city! Imagine how impossible it is to reach remote parts of India! 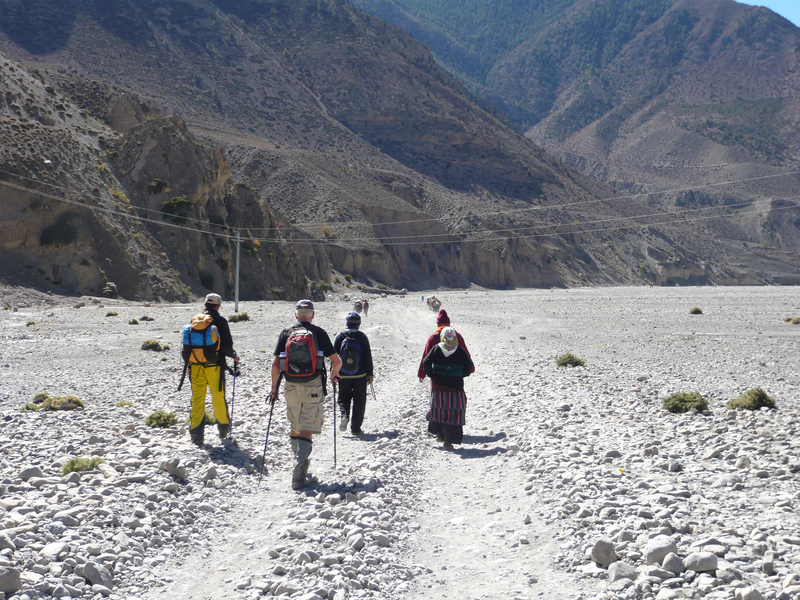 Here in Nepal, the only way to reach some cities is to walk as we are doing along with a monk and his friends. The altitude is high, the roads are difficult and it often takes days to reach some of these remote villages that are only accessible by foot. These are just a few small examples of how incredibly difficult it is to reach places in India and Nepal. With India’s incredibly large population, the fact that millions of children in such an enormous country were immunized against polio is mind-boggling. For further reading, the following two articles also illustrate the work that was involved in immunizing India’s children. An amazing accomplishment India! BBC News: How India has had remarkable success in polio fight. Published 2/20/12. India used to be the epicenter of polio. In 1985, there were an estimated 150,000 cases in India and as recently as 2009 there were 741, more than any other country in the world. I also found these pictures from the BBC article which should remind us of how horribly debilitating this disease can be. (Photos credited to Getty Images). If these pictures or video aren’t enough to inspire others to put an end to this terrible disease and help immunize the world’s children, I don’t know what else is. Help give children around the world the shot at life they deserve. Join the movement! www.shotatlife.org. that’s off the back of the truck, not of! That roomful of iron lungs is so sad. Also, you’re lucky to have made the drive from Delhi to Agra in 5-6 hours. It took us nearly 8. Wow, really? Did you travel a lot in India? I found it to be the craziest place I’d ever been. I am still absolutely amazed by the polio vaccination effort there. It just shows what people can do! I spent my childhood in a small village of Bihar (India). I still remember the organisation involved in the noble cause used different techniques to create awareness among the people in general about the disease. Bows down to them who where not only able to reach out to the people in general but who also were able to create an assurance among the mass that “Yes,.. Polio can be uprooted”. Wow, thanks for your comment. If you are ever interested in sharing your story with me as a guest writer on my blog, that would be wonderful. I think it is so important for others to know the experiences of people around the world and how vaccinations have effected their life. If you are interested in submitting a post please let me know. Thanks again for the comment!